Our office has been designed with our patients’ comfort and care in mind. We try to make your experience with us as “un-dental like” as possible. This goal has led us to offer extra amenities and only the newest in high-technology instruments, making your visits more efficient and comfortable. You may rest assured that we will do everything in our power to make your visits and those of your family and friends as pleasant as possible. Aromatherapy- According to some studies certain fragrance will reduce anxiety. 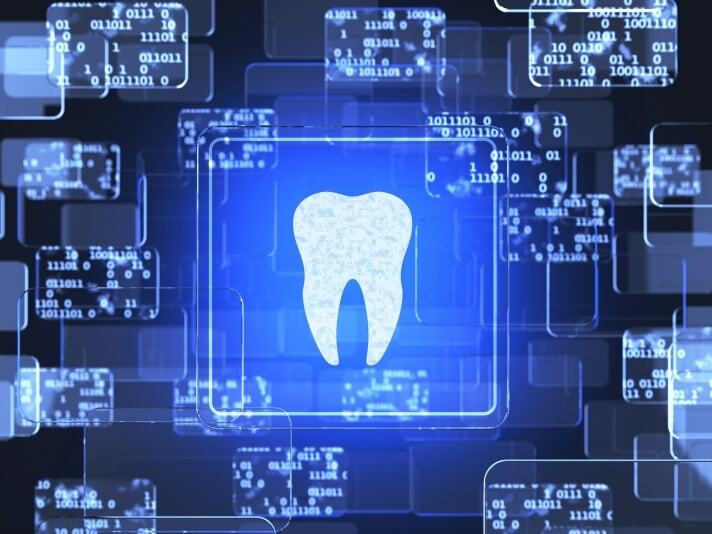 Digital X-rays are taken in the same manner you are used to; however, these pictures of your teeth appear immediately on a computer screen. The advantages of digital x-rays include exposure to lower radiation, only 10% of the radiation of traditional x-rays. 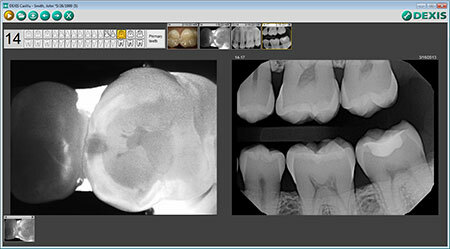 Since they can be enlarged to the full size of a computer screen, this allows the doctor to have improved viewing ability for analysis and diagnosis. The intraoral camera is a revolutionary breakthrough in dental diagnostics. It is a tiny video camera that moves within the mouth capturing images that can be transferred to a computer screen. This tiny device gives the doctor visual access to areas of the mouth that would otherwise be difficult to see. Data collected from the equipment provides a more accurate assessment of the mouth to ensure that patients receive the most appropriate treatment plan. 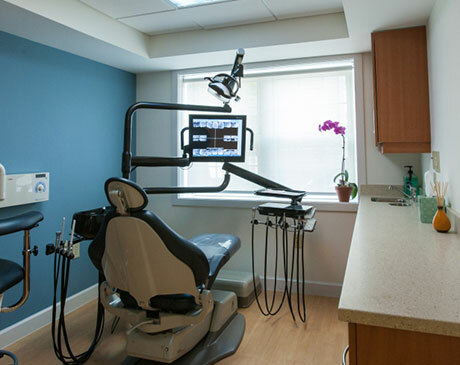 Dr. Dogan also uses the intraoral camera to enhance patient education by providing patients with a visual of proposed procedures. When appropriate, nitrous oxide (also known as “laughing gas”) is used at our dental facility to relax patients during their dental procedures. Nitrous oxide is used as a gentle form of sedation - patients are conscious, but in a light state of relaxation and unable to feel pain. Dental professionals trained in conscious sedation carefully monitor each patient receiving nitrous oxide at our practice. Oral Sedation-An extremely common technique for dental sedation is oral sedation. It’s easy and doesn’t require the use of needles. You will be given a prescription pill, taken about an hour before your appointment, so that by the time you arrive at our office, you’re fully relaxed. DEXIS CariVu™ is a compact, portable caries detection device that uses patented transillumination technology to support the identification of occlusal, interproximal and recurrent carious lesions and cracks. By hugging the tooth and bathing it in safe, near-infrared light, CariVu’s transillumination technology makes the enamel appear transparent while porous lesions trap and absorb the light. 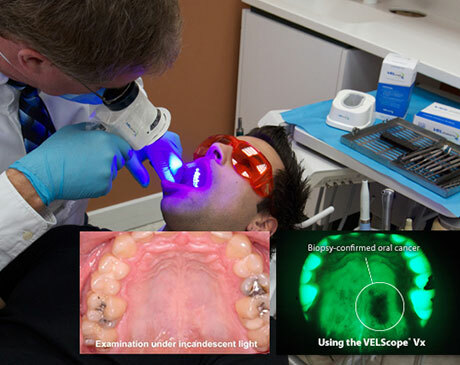 This unique caries detector allows the clinician to see through the tooth exposing its structure and the actual structure of any carious lesions with very high accuracy. People get white or red spots in their mouths from time to time. The majority of spots are caused by everyday trauma. If a spot is observed, and there is no clear cause, it needs to be tested by collecting and analyzing cells. The BrushTest is pressed against the spot and turned; collecting thousands of cells. The specimen is then sent to the lab for analysis. OralCDx Labs has a special process for analyzing each specimen which makes it very accurate. The report from OralCDx gives the doctor information that helps determine the cause of the spot so that it can be treated. Just like with a pap smear, the expectation is that the result of the BrushTest will be “negative” for precancer or cancer. Even if unhealthy cells are found, the spot can typically be removed before it can become harmful. Icon represents a new category of dental products,” says Tim Haberstumpf, DMG America Director of Marketing. “It is the first product to bridge the gap between prevention (fluoride therapy) and caries restoration. Icon’s micro-invasive infiltration technology can be used to treat smooth surface and proximal carious lesions up to the first third of dentin (D-1). In just one patient visit, Icon can arrest the progression of early enamel lesions and remove white spot lesions. When a dentist discovers incipient caries that are beyond preventive therapies though too early for restorative treatment, Icon offers a simple alternative to the “wait and see” approach. With Icon, the dentist can offer immediate treatment without unnecessary loss of healthy tooth structure. Icon prevents lesion progression and increases life expectancy for the tooth. Icon also provides a highly esthetic alternative to microabrasion and other restorative treatments for cariogenic white spot lesions. White spot lesions infiltrated by Icon take on the appearance of the surrounding healthy enamel.